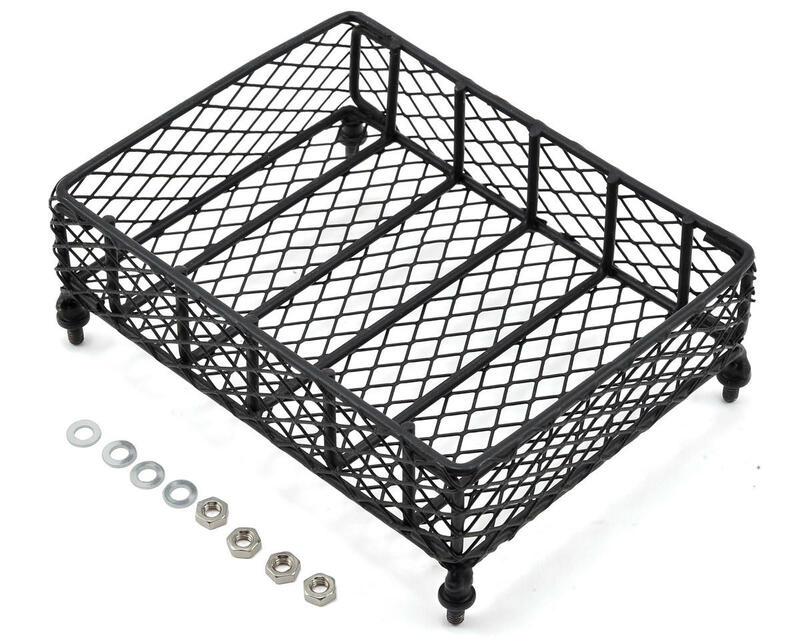 This Yeah Racing 1/10 Scale Metal Mesh Roof Rack Luggage Tray "Type D" is 13cm long, 10cm wide and 3.5cm deep (5.1x3.9x1.4") and is made from durable metal, great for your crawler or scaler needs. When it comes to storing items, the roof rack has few limits to what it can hold while enhancing the looks of your rig with the nearly endless variety of scale accessories available. Simply drop in your accessories, arrange them as necessary and secure them down. 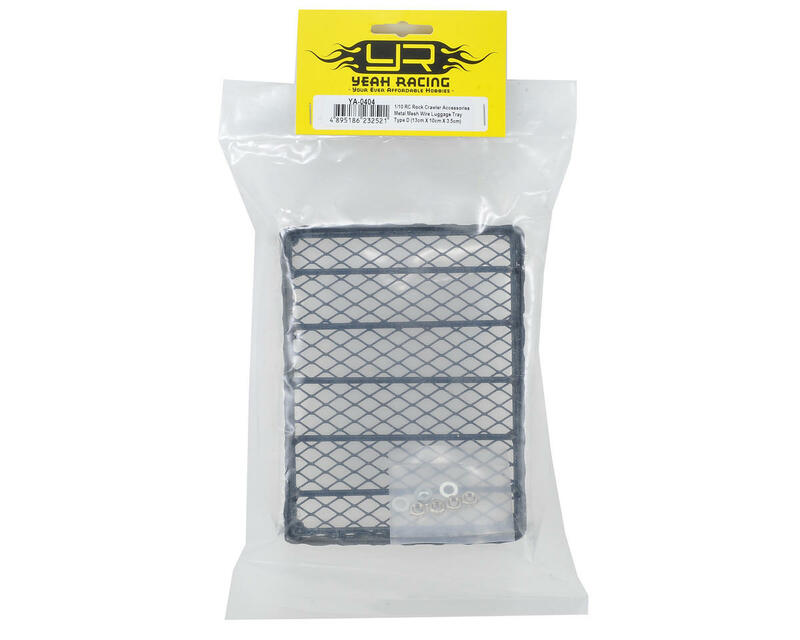 For good ideas on securing your accessories, check out the Yeah Racing Bungee Cords (YEA-YA-0452) or Steel Wire Rope with Hooks (YEA-YA-0373). For installation, the rack features four threaded pegs that go through the body, with four nuts securing it from the inside.